Pregnancy is a beautifully transformative time in a woman’s life. While motherhood is often focused on giving — giving life, love, and attention to one’s children once they are born — maternity is the perfect time to focus on a mother-to-be. Maternity portraits celebrate women during this brief yet incredibly special moment and commemorate the wholeness of a woman’s journey. 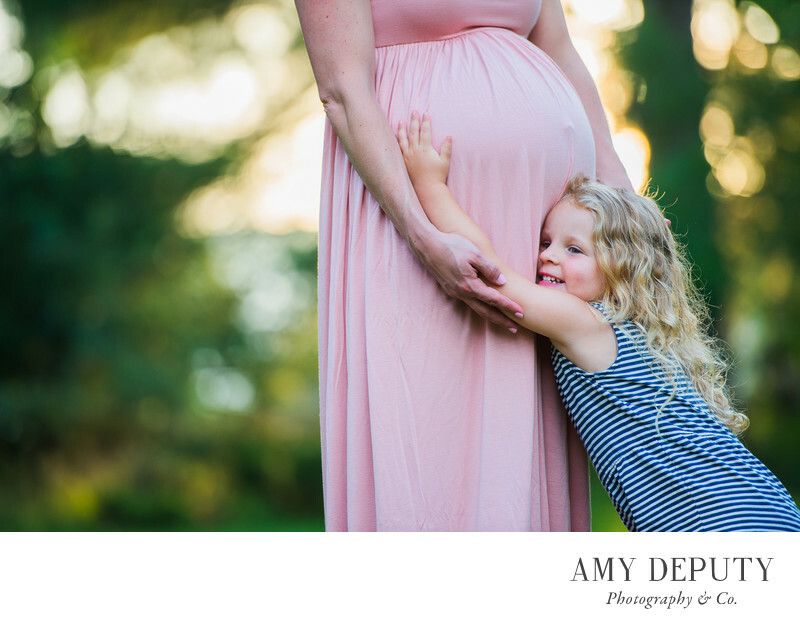 Each pregnancy photo session is a time to take pause and honor one’s growing joy. Later, these photographs become a first glimpse of a child’s presence within a family; the beginning of a family story. The cityscapes of Baltimore, Maryland and Washington, DC, as well as the country and seaside locales surrounding these urban centers offer a variety of settings for amazing maternity photos. From backyards to local parks or right at home, the possibilities are endless for creating lasting memories for oneself and the whole family.